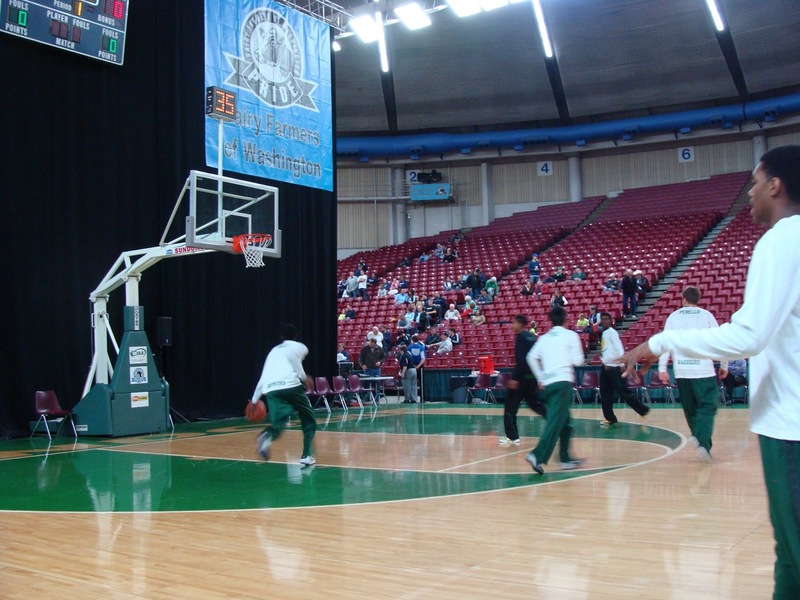 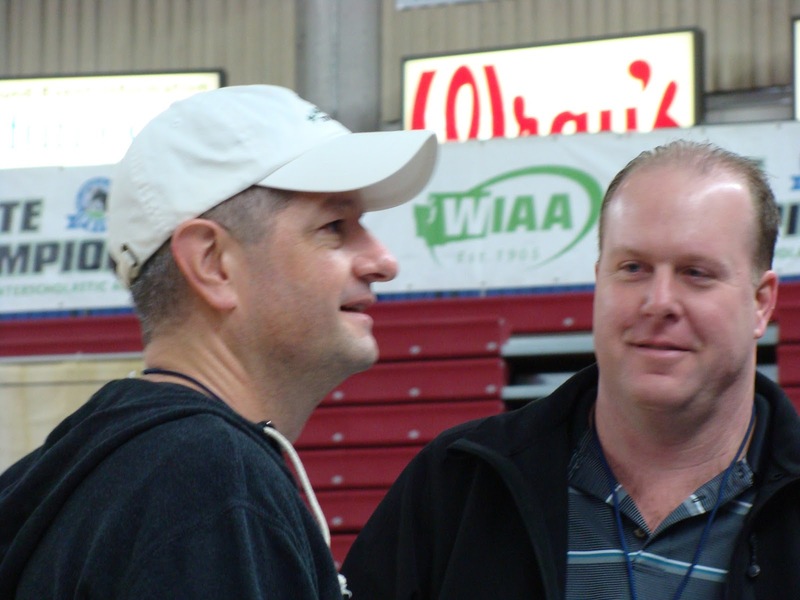 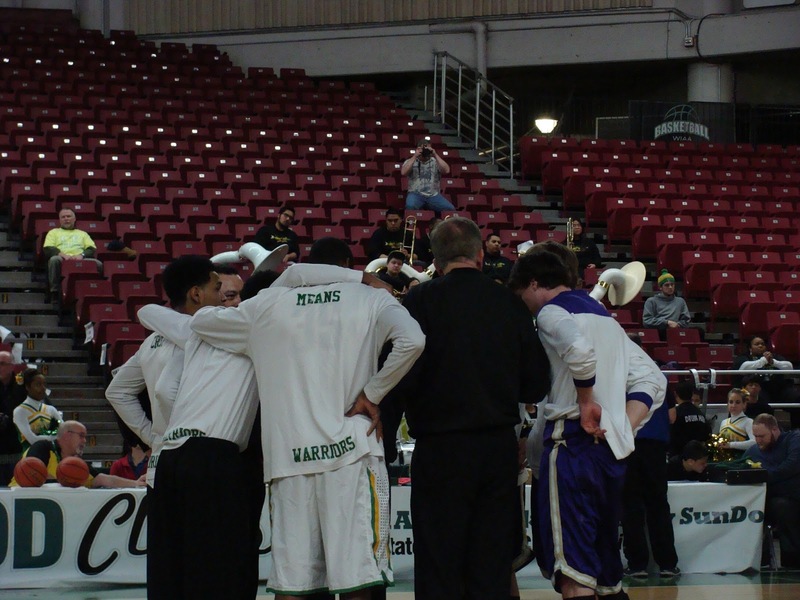 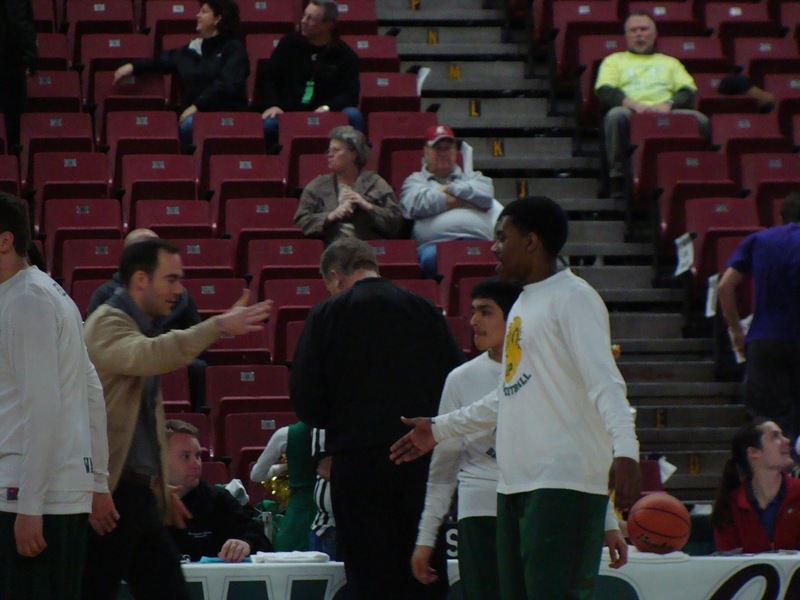 (Yakima) -- Clover Park's athleticism was too much for Sequim Saturday as the Warriors beat the Wolves 73-47 for the fourth place trophy at the State 2A boys basketball tournament at the Yakima SunDome. 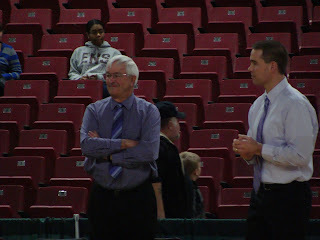 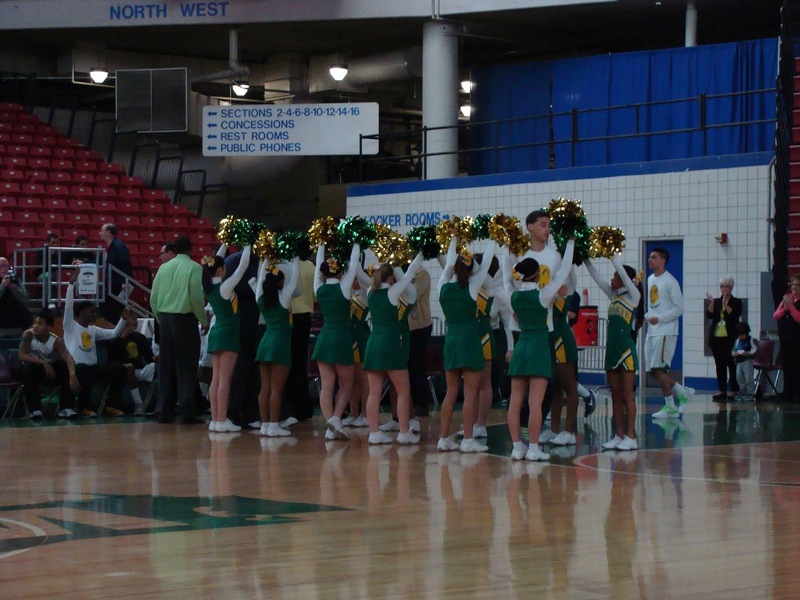 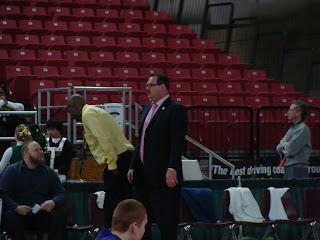 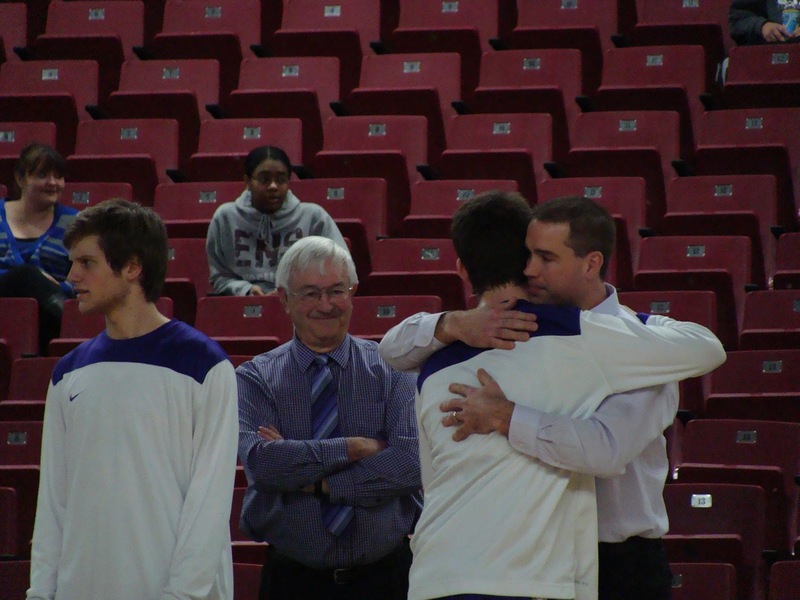 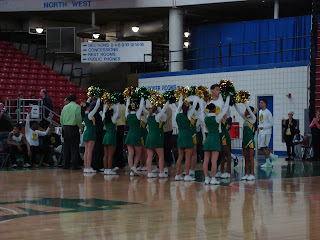 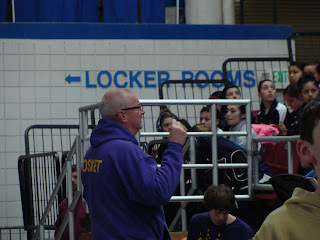 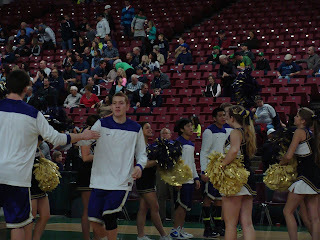 Coach Greg Glasser's squad concluded a 22-6 season with the sixth place hardware, the Wolves best mark at state since the 1988 team lost to Rainier Beach in the title game for second place. 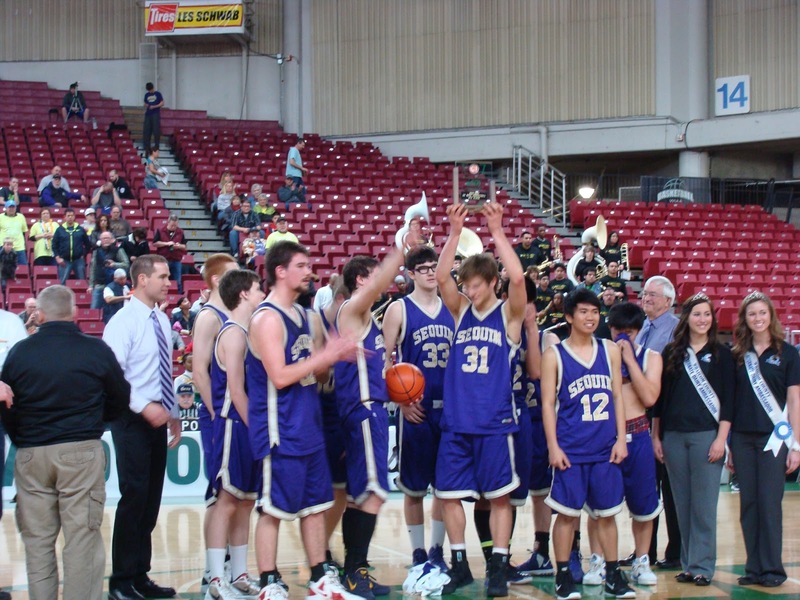 The state trophy is the final accomplishment of the team that was Olympic League co-champion, took 2nd at the district tourney and held off Hockinson in the regionals to qualify for state. 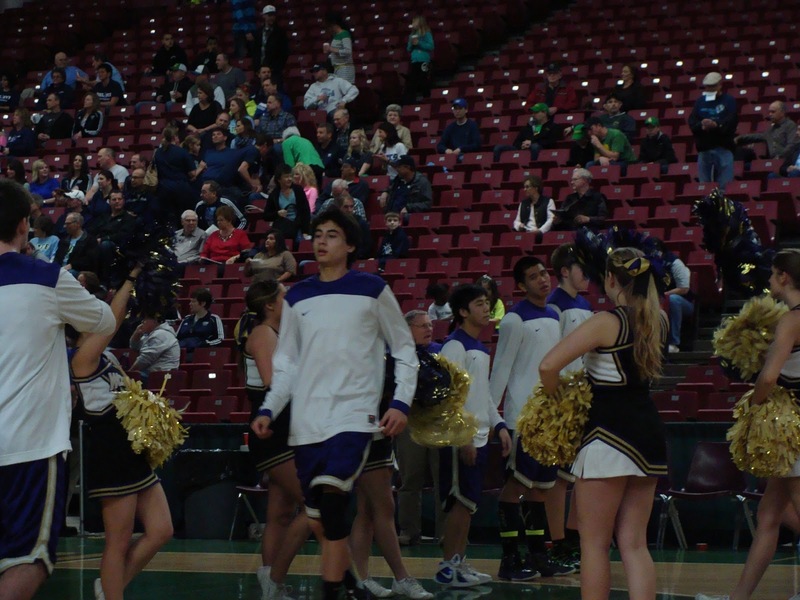 The Warriors, who beat Sequim 60-45 in the West Central District championship game, raced out to a 21-14 first quarter lead, converting 6 Wolves turnovers into 5 points. 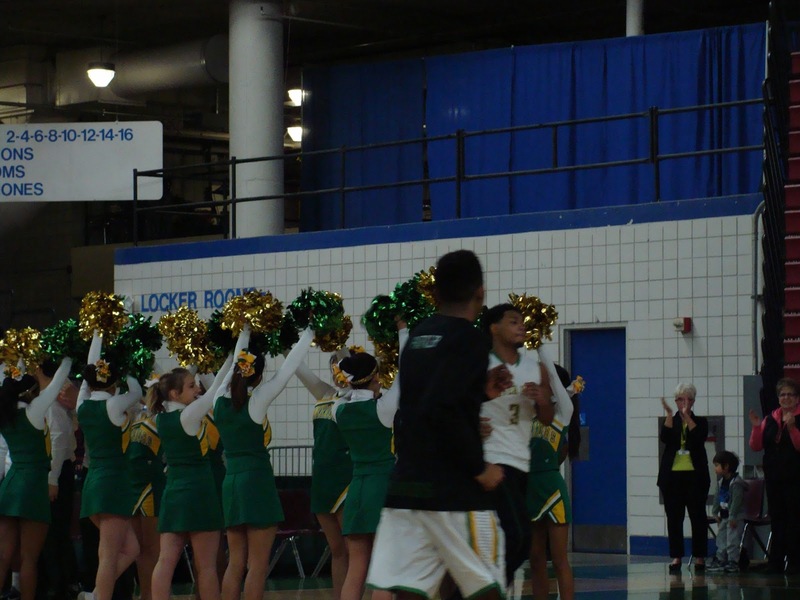 Philip Winston led Clover Park with 23 points, David Crisp had 16 and Xavier Means 13 for the Warriors, who completed the campaign with a 22-7 record. Clover Park led 40-22 at intermission. 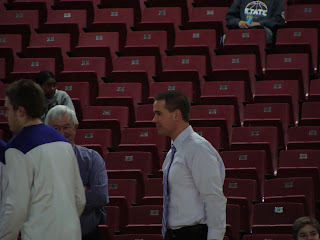 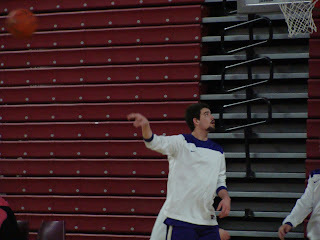 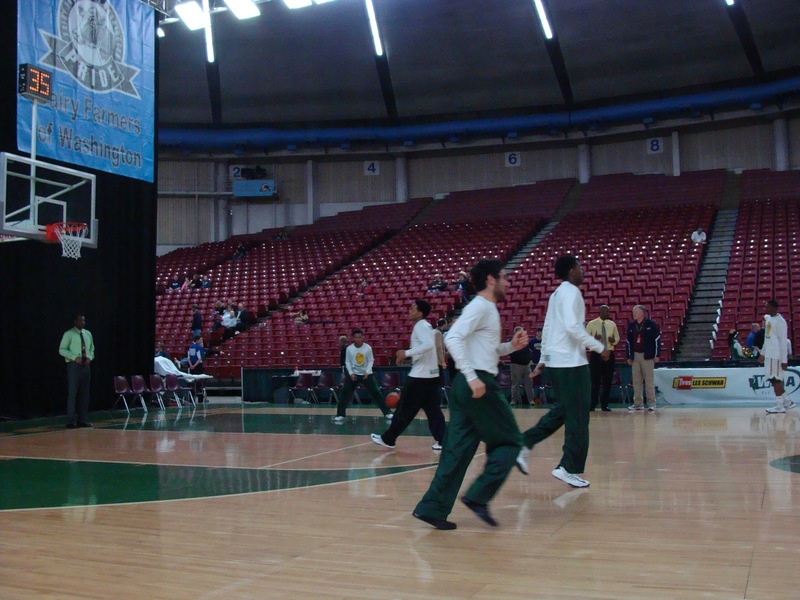 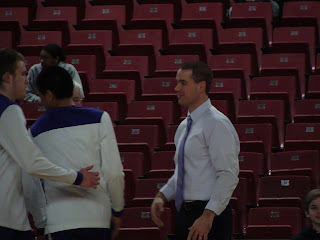 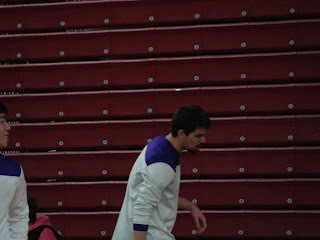 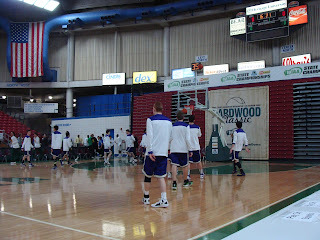 Jayson Brocklesby led the Wolves with 15 points and had one final slam dunk in the final minute. 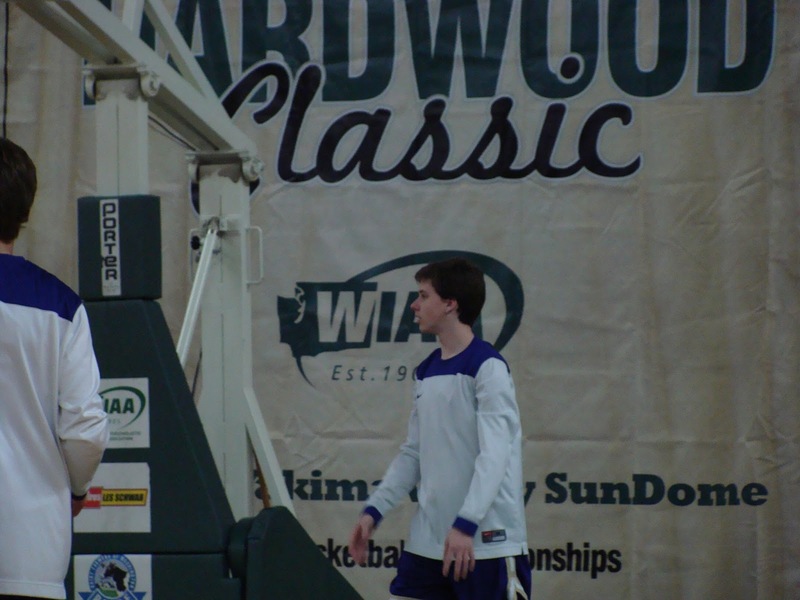 Gabe Carter had 7 points and 2 assists in the contest, leaving him with the all-time Sequim assist record, passing Ryan Kaps. 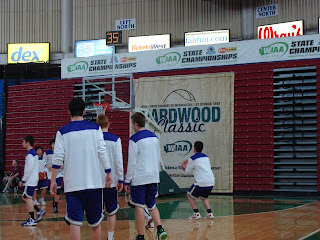 Alex Barry had 8, Anthony Pinza 6 and Rory Kallappa 5. 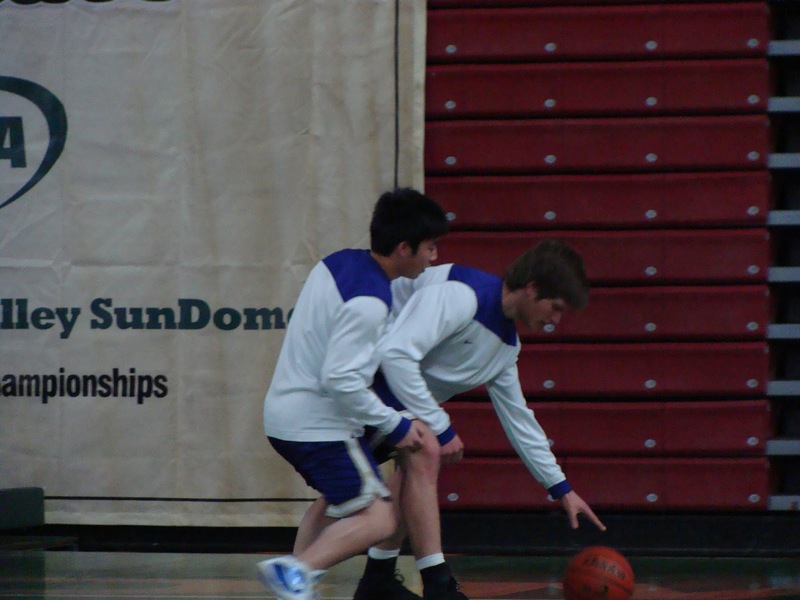 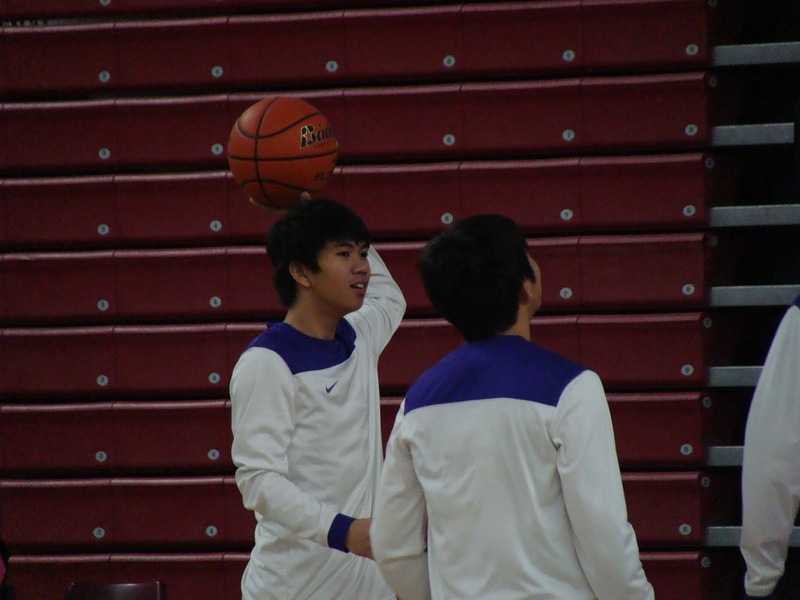 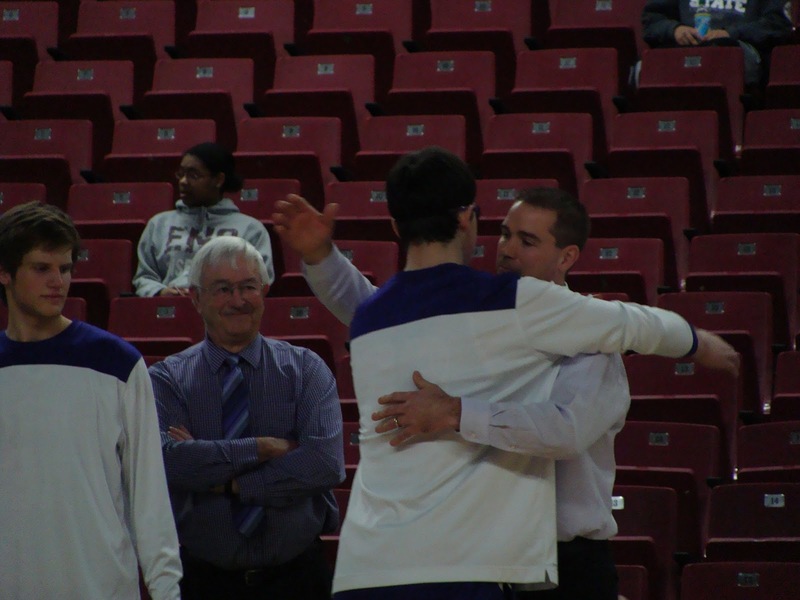 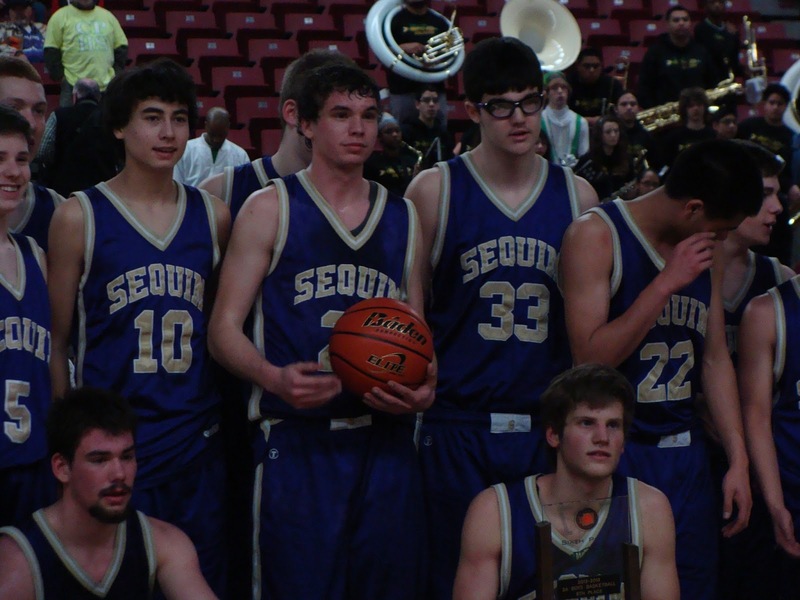 It was the final prep basketball appearance for Sequim seniors Jayson Brocklesby, Gabe Carter, Tim Guan, Donovan Lee, Jedd Posadas and Andrew Shimer. 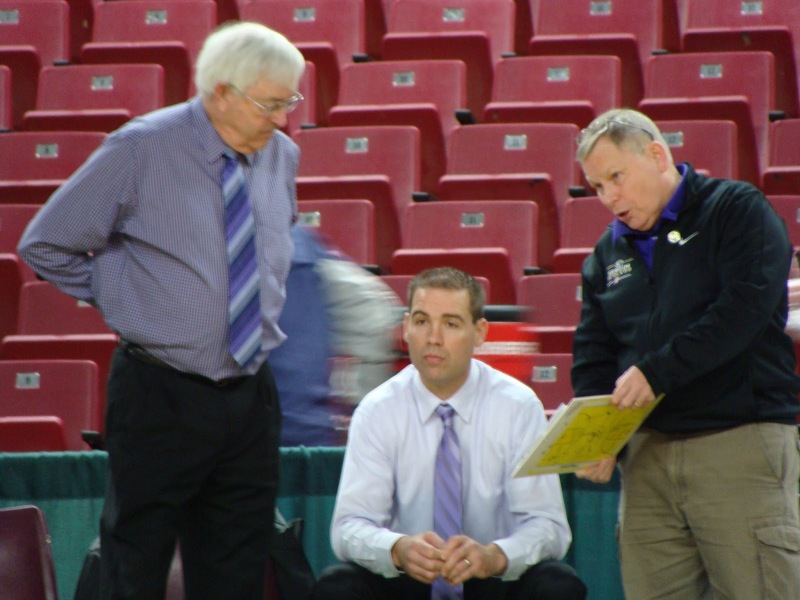 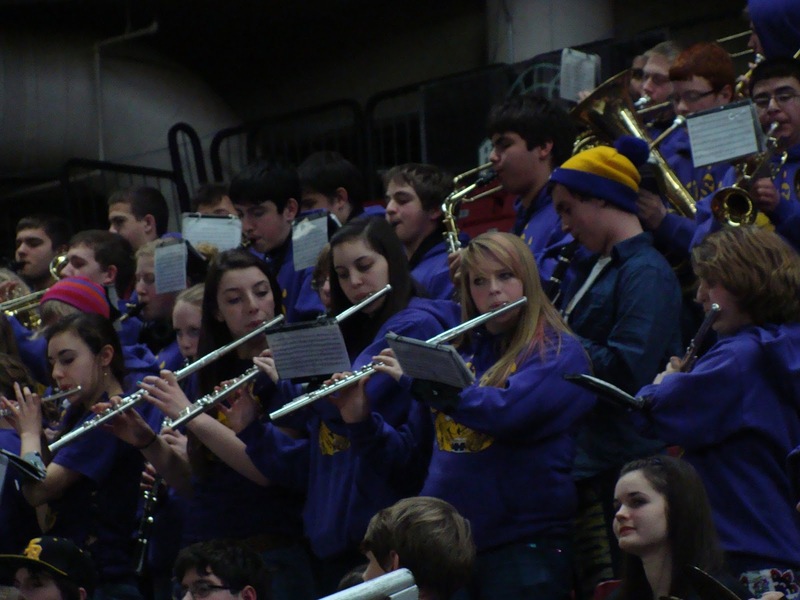 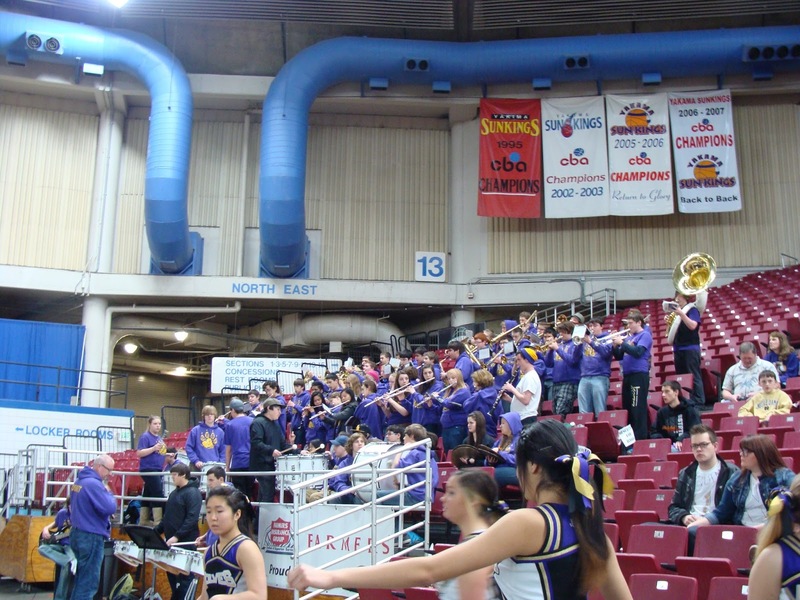 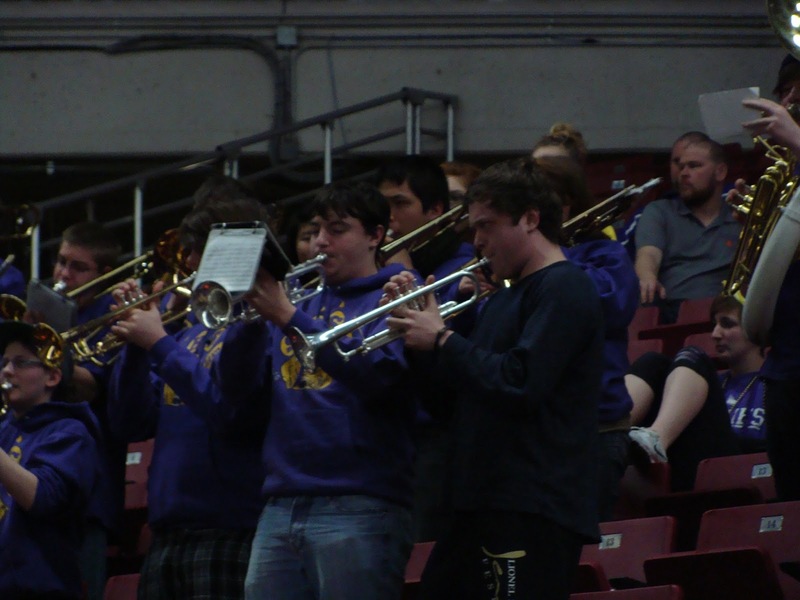 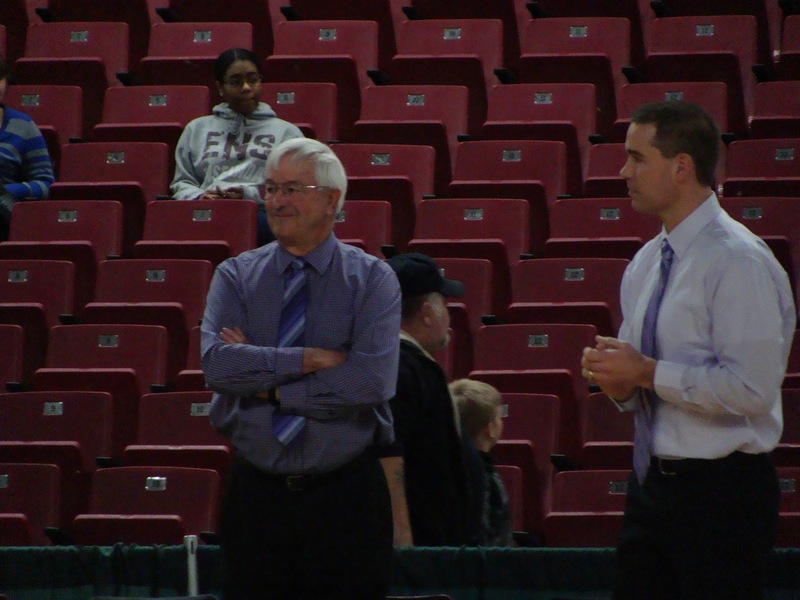 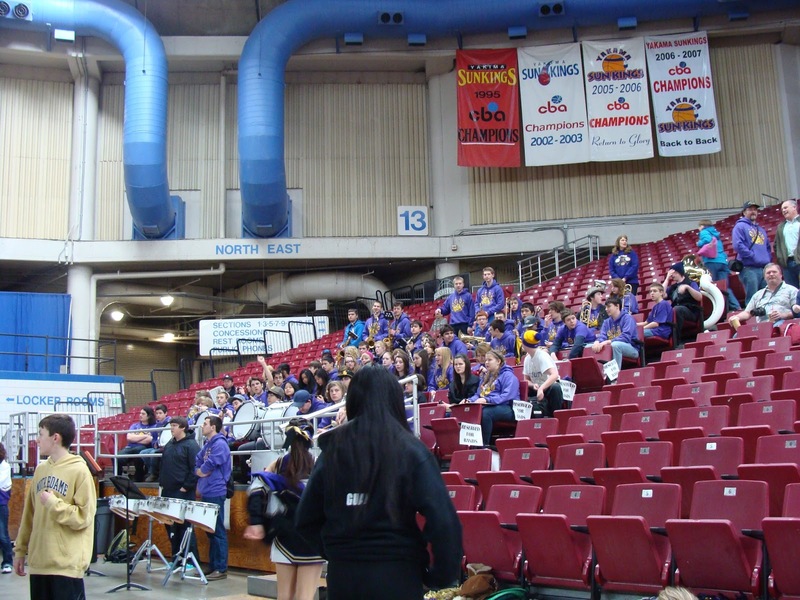 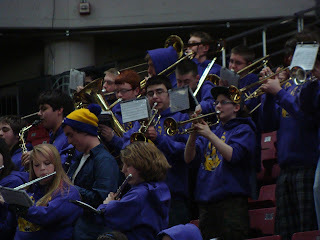 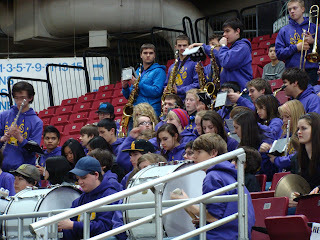 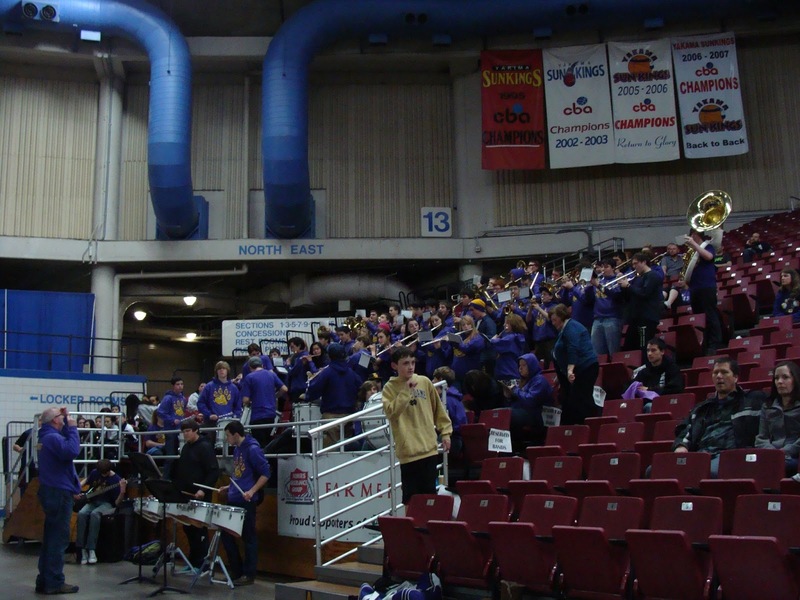 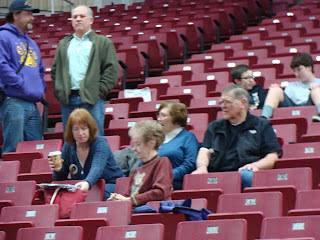 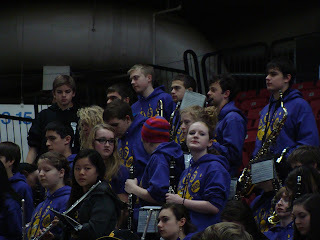 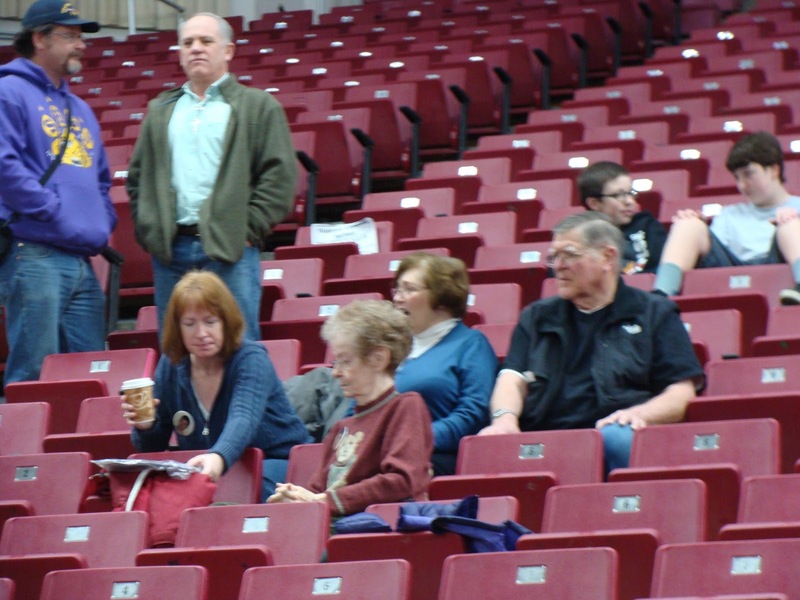 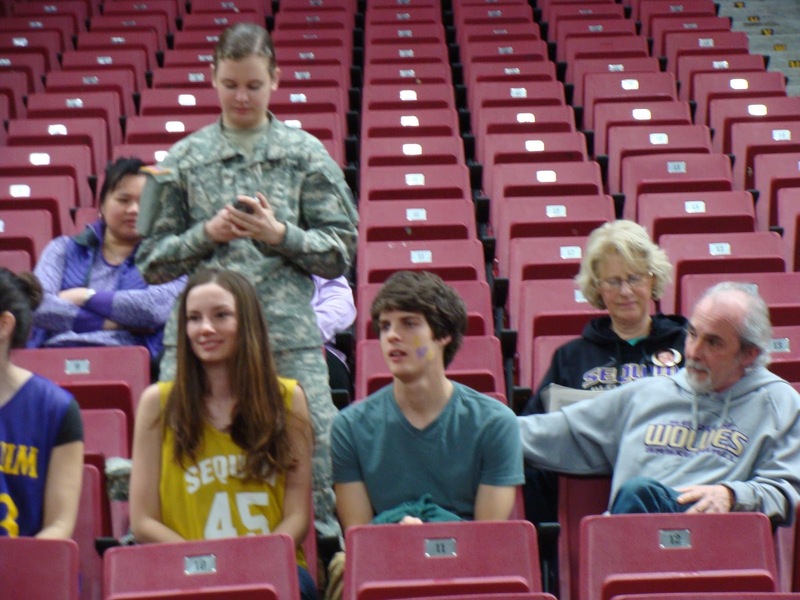 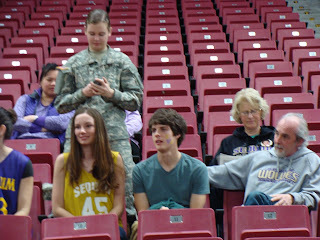 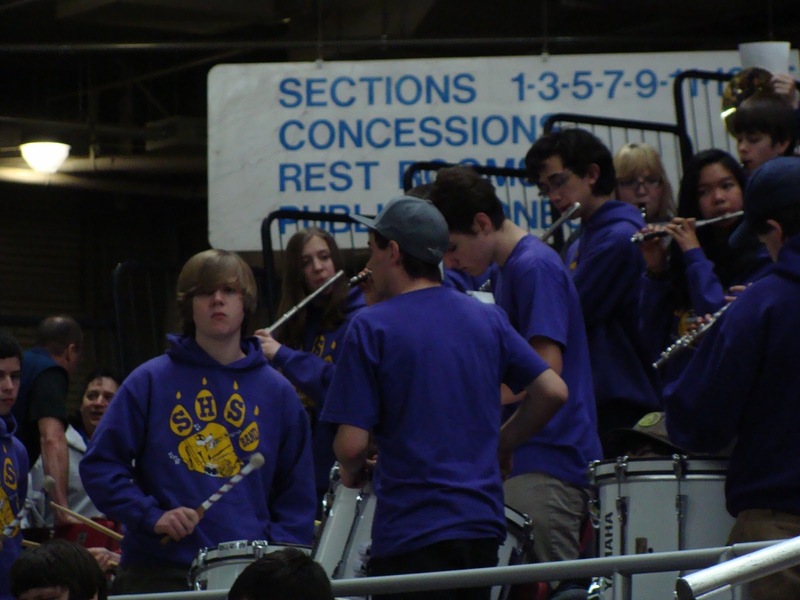 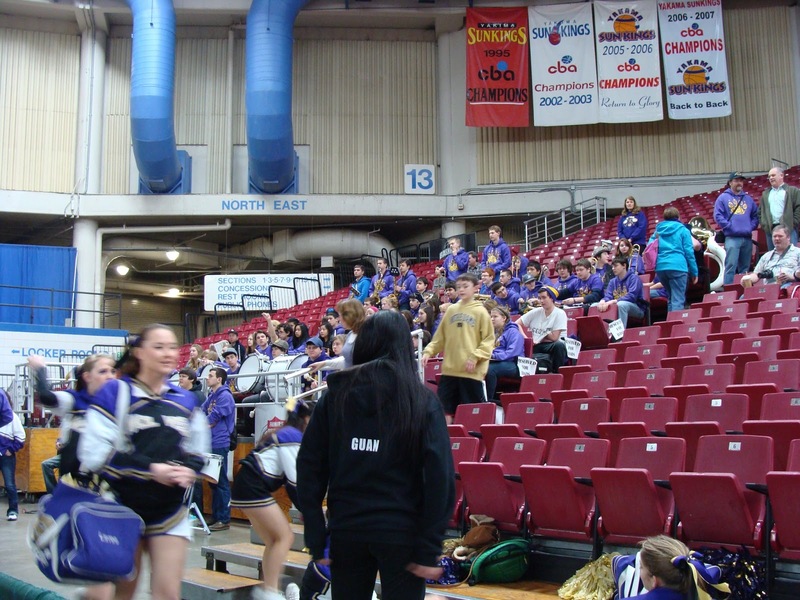 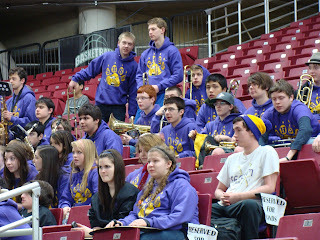 A sizable Sequim contingent was on hand at the SunDome for Saturday's contest, including the Sequim High Wolves band led by director Vern Fosket. 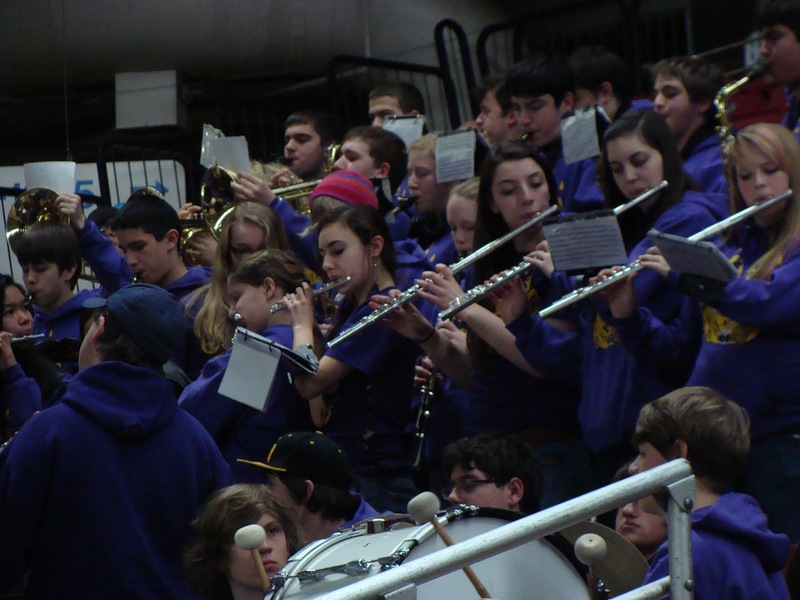 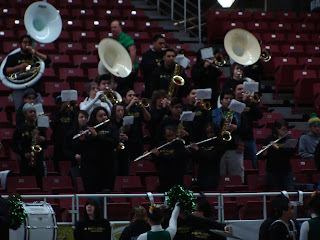 The group performed the National Anthem prior to the game, click to listen. 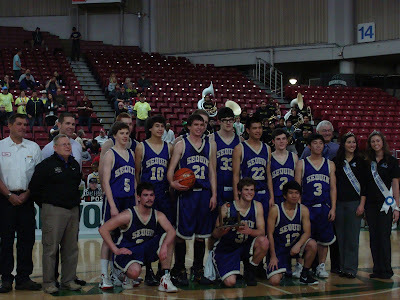 Sequim (47) -- Anthony Pinza 6, Alex Barry 8, Rory Kallappa 5, Jedd Posadas 2, Jayson Brocklesby 15, Tim Guan, Erik Christensen 2, Gabe Carter 7, Andrew Shimer 2, Vance Willis, Donovan Lee. Clover Park (73) -- Philip Winston 23, Travis Parker 9, David Crisp 16, Anthony White 8, Keila Pritchard, Eric Perez, Alex Coronado 0, Michael Hill 2, Glenn Jordan 2, Xavier Means 13, Marc Perello. 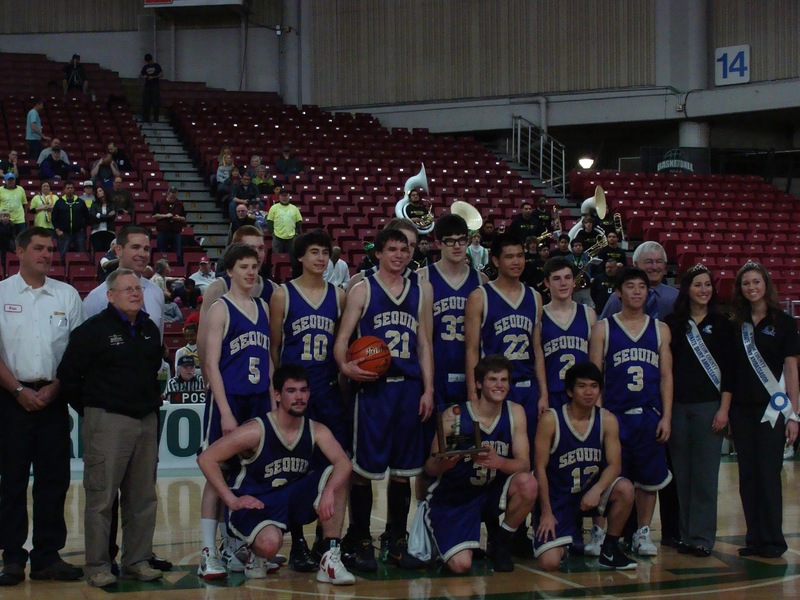 Total FG: Sequim 17-49 (.347), Clover Park 29-59 (.492). 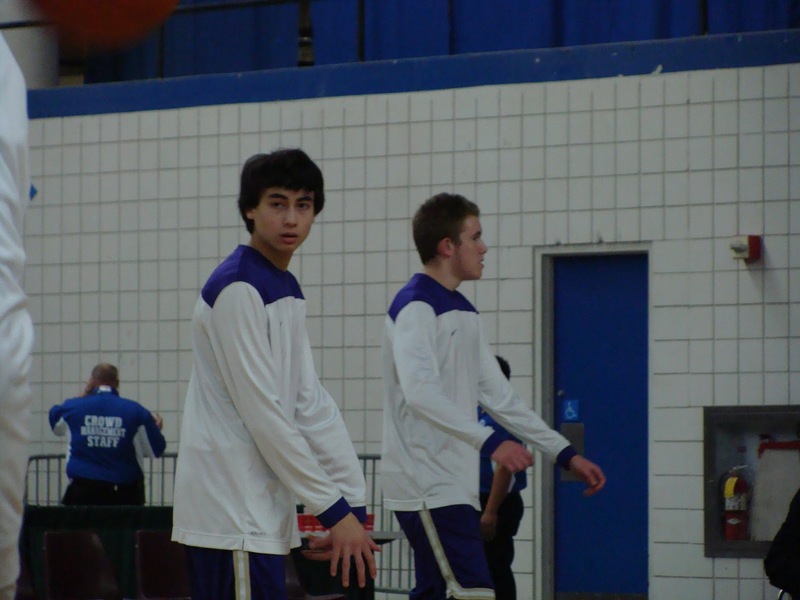 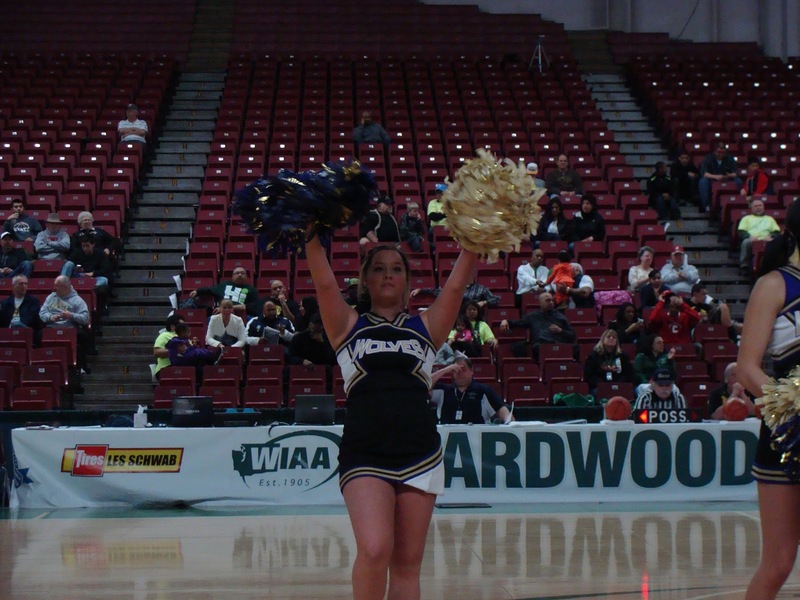 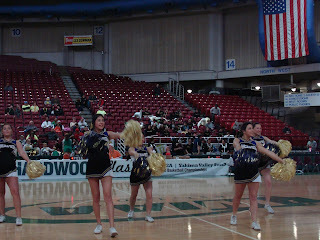 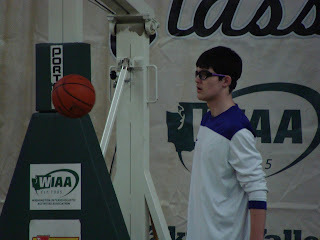 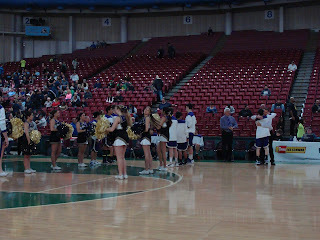 Free Throw Points: Sequim 10, CP 8. Points off Turnovers: Sequim 8, CP 22. 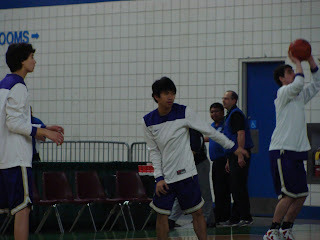 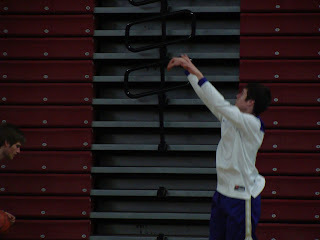 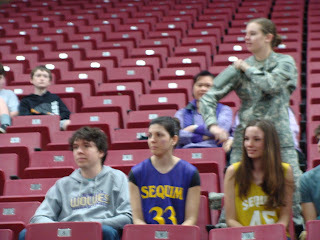 Total Rebounds: Sequim 30, CP 36. 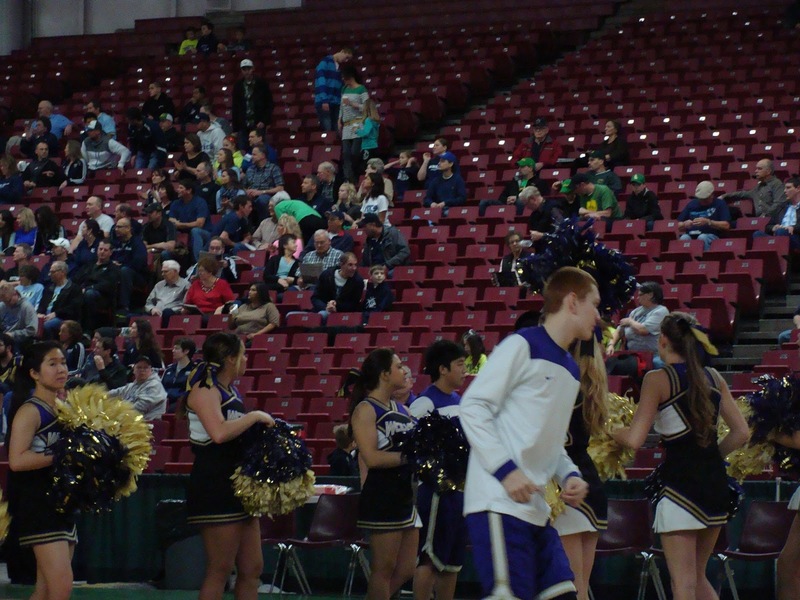 Assists: Sequim 5, Clover Park 16. 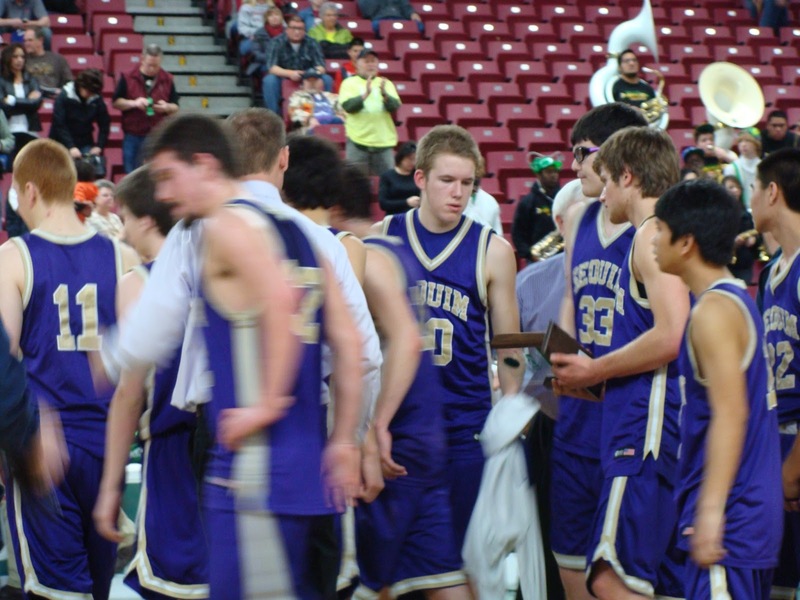 Turnovers: Sequim 22, CP 11. 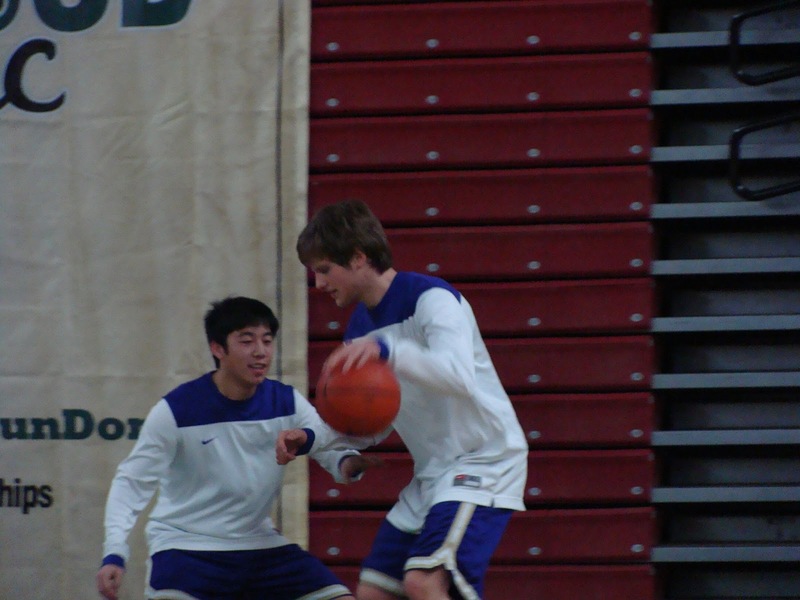 Steals: Sequim 5, CP 18. 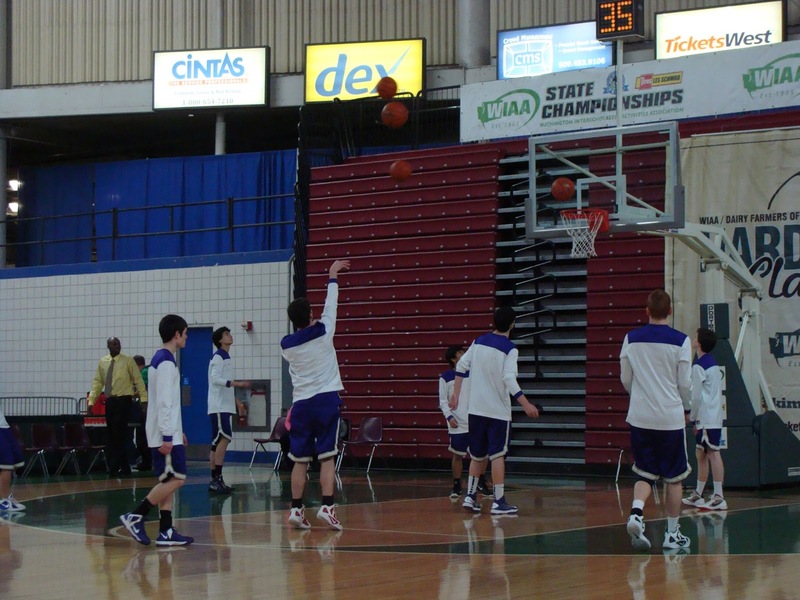 3 pt Points: Sequim 9, CP 21. 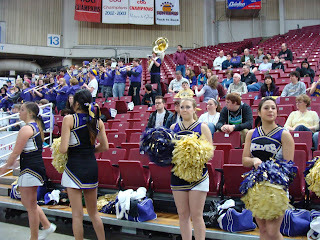 2nd chance points: Sequim 6, CP 12. 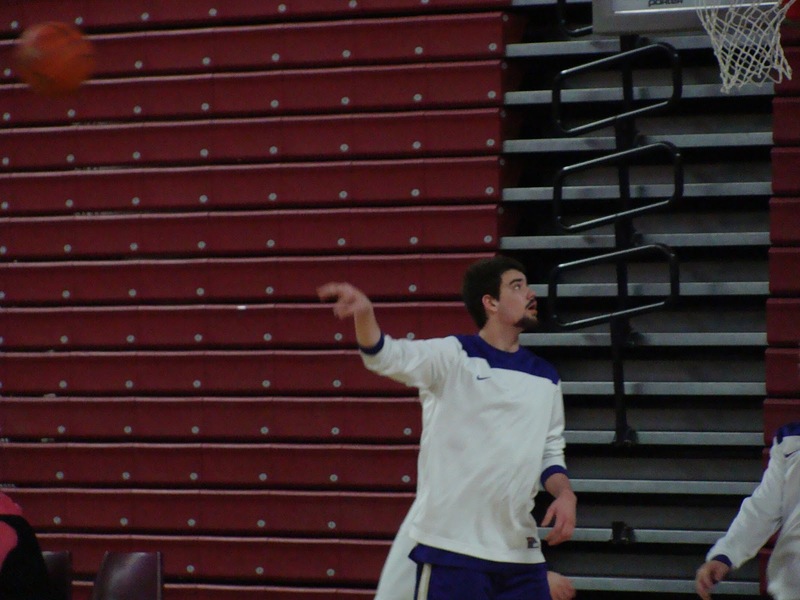 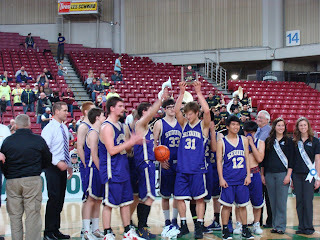 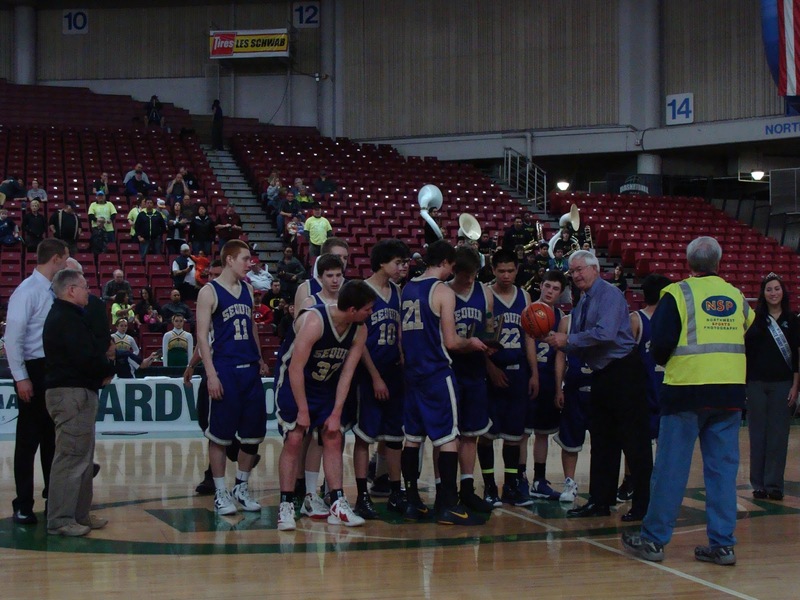 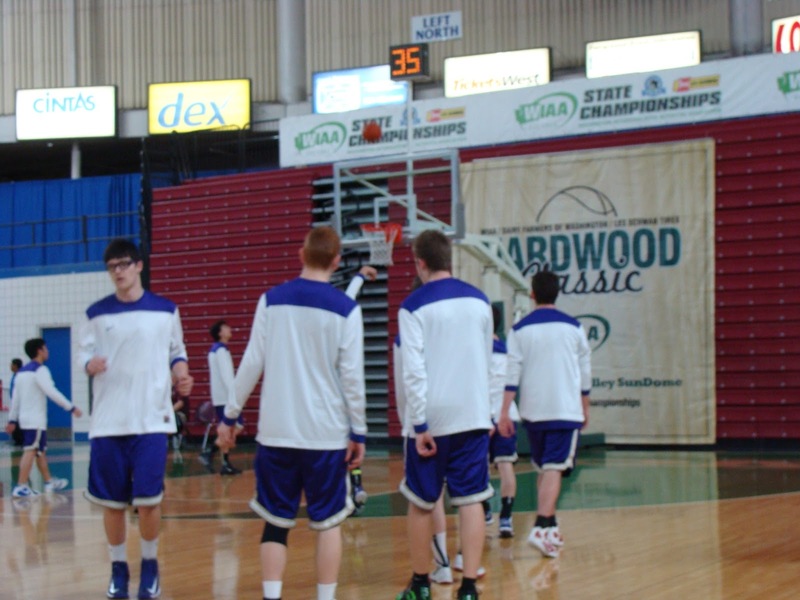 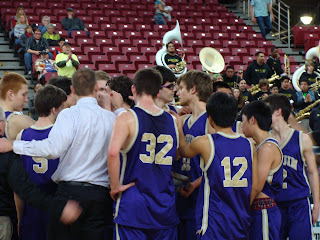 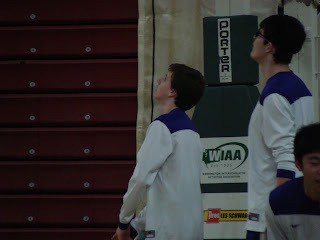 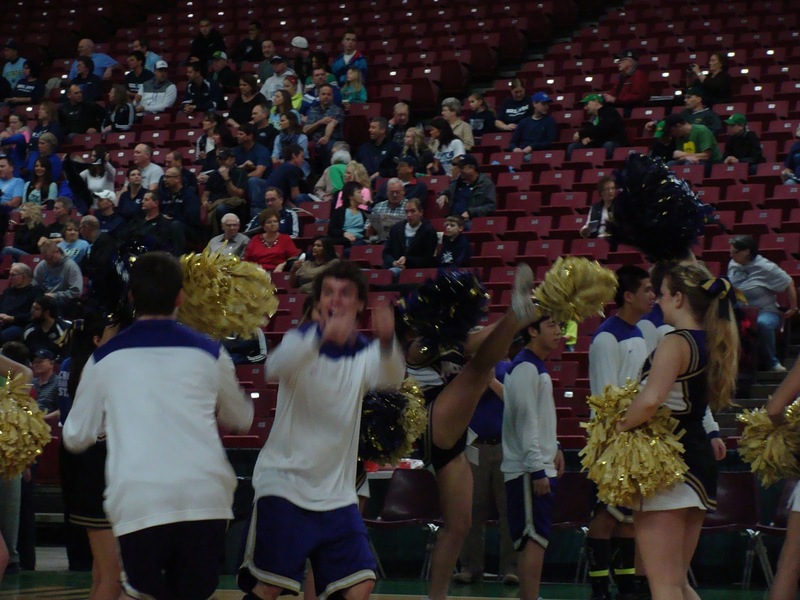 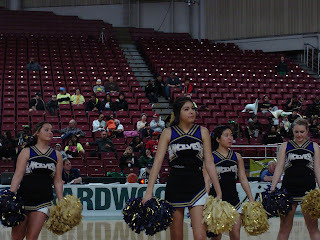 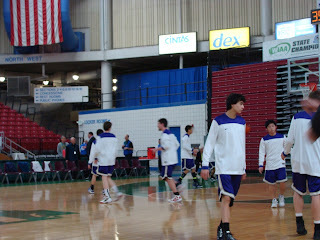 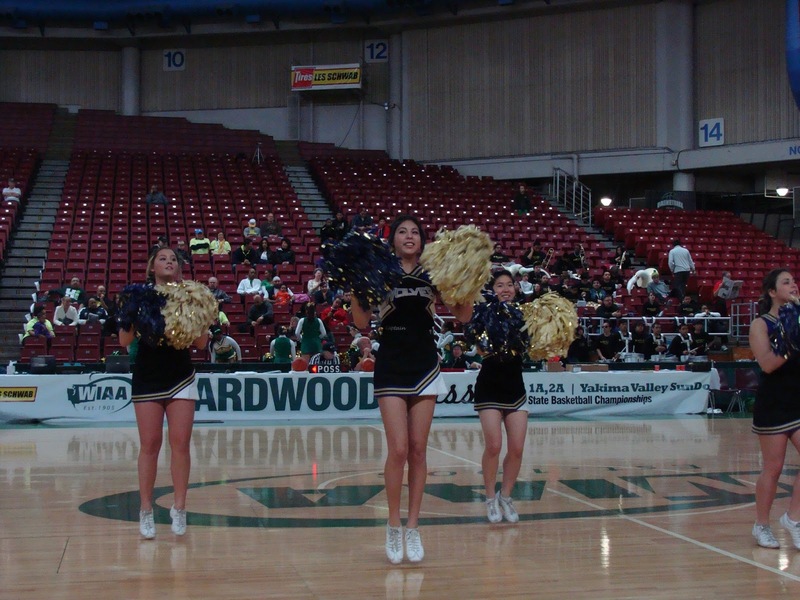 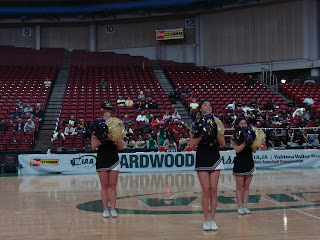 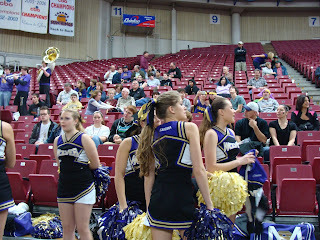 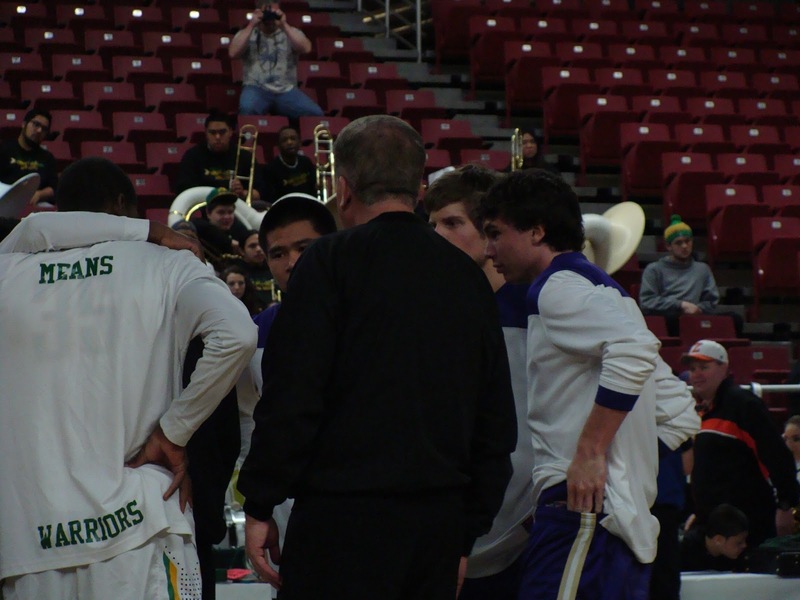 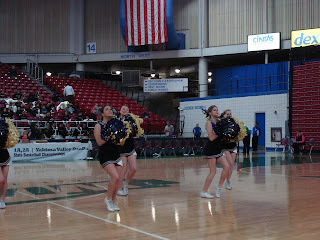 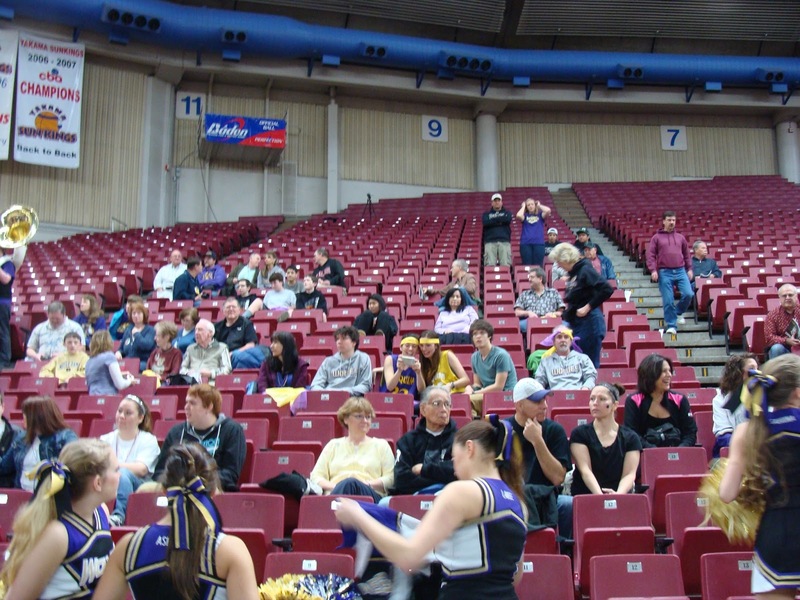 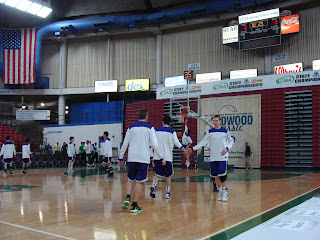 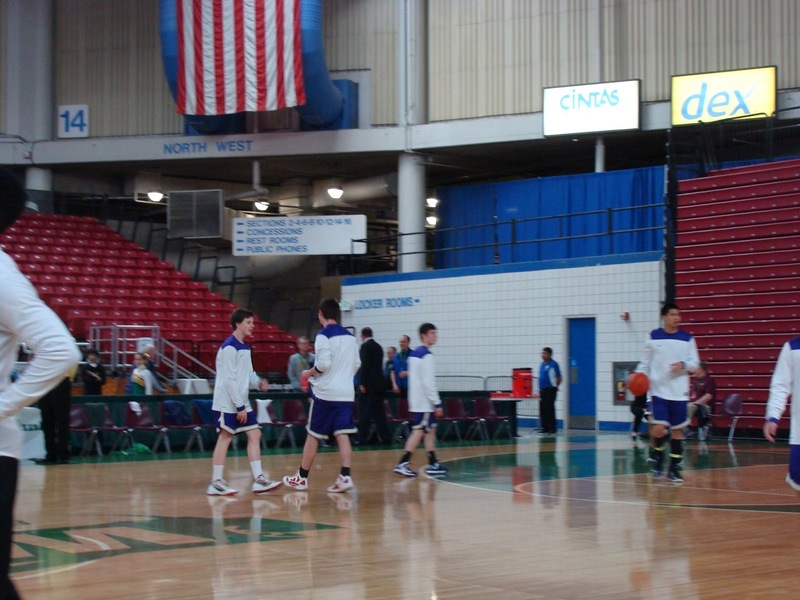 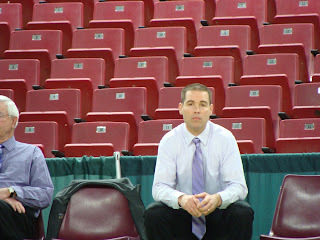 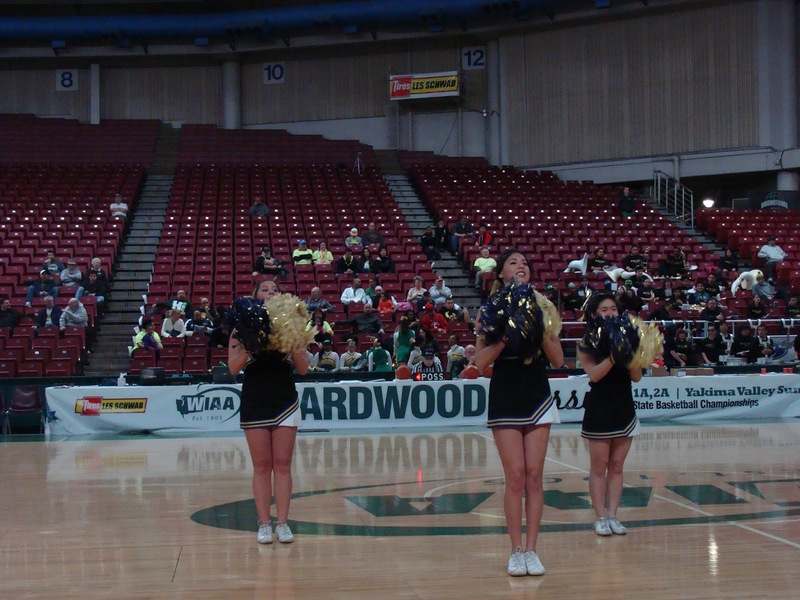 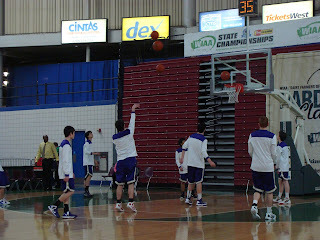 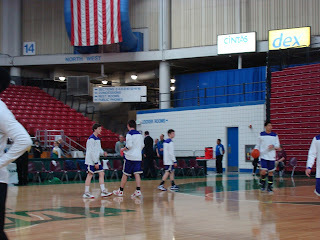 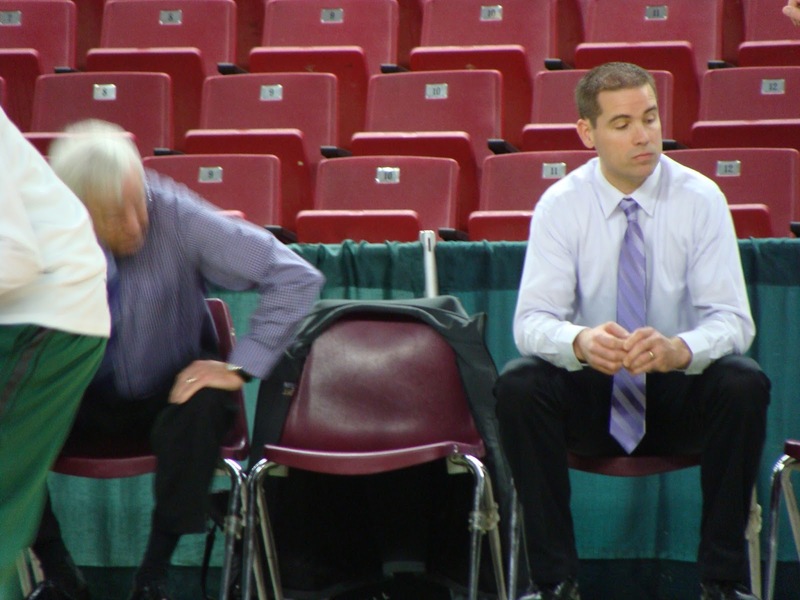 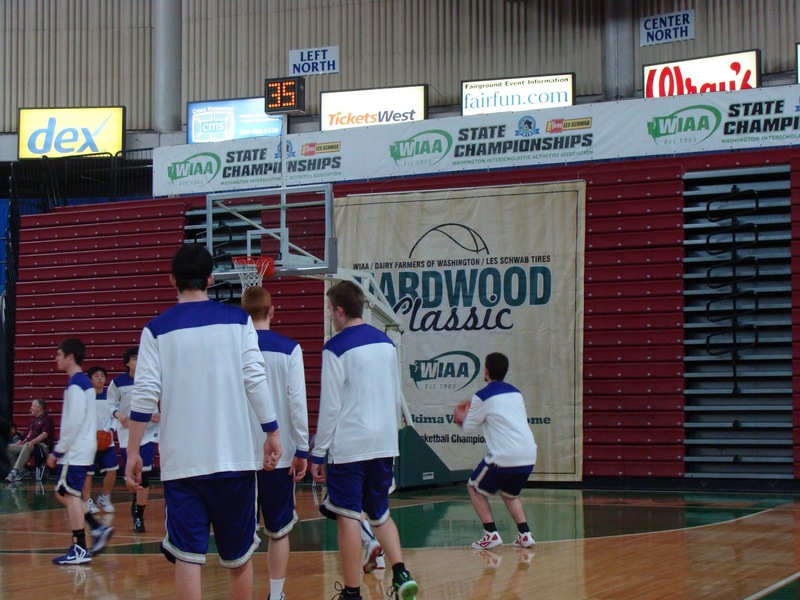 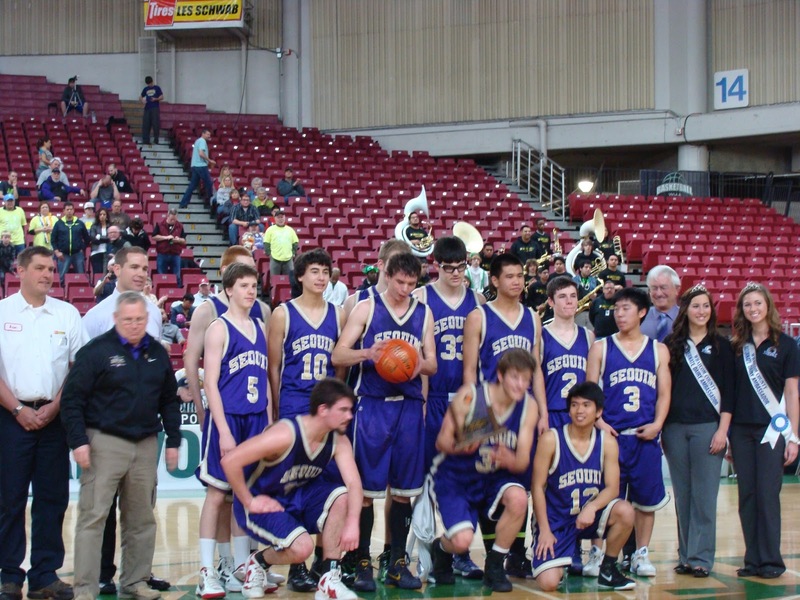 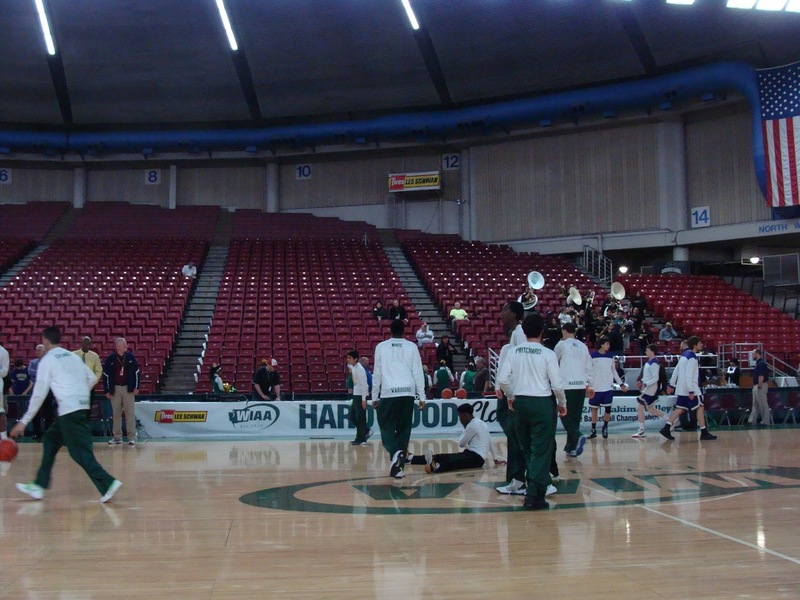 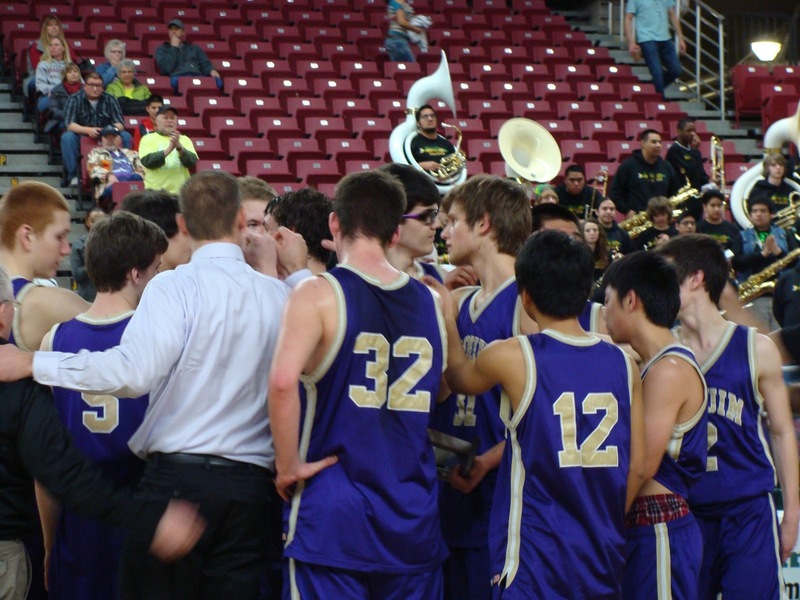 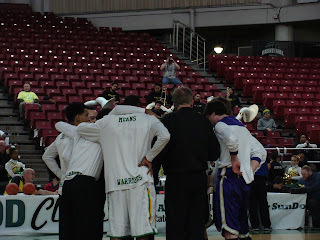 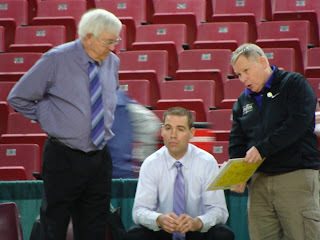 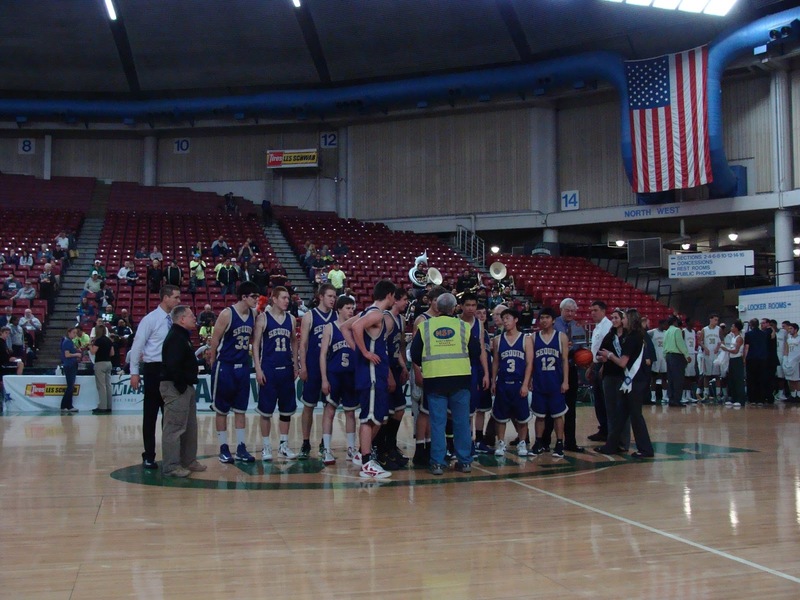 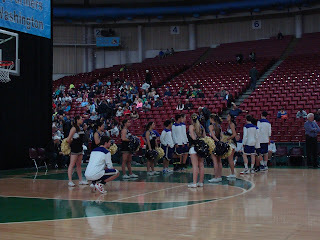 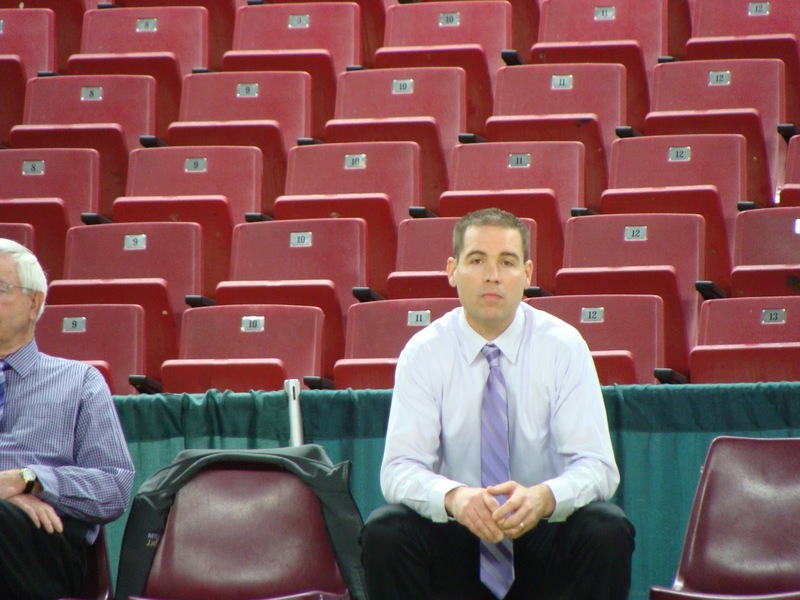 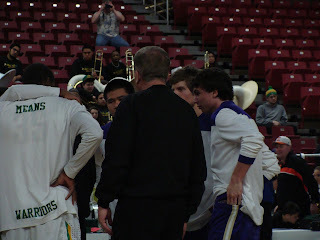 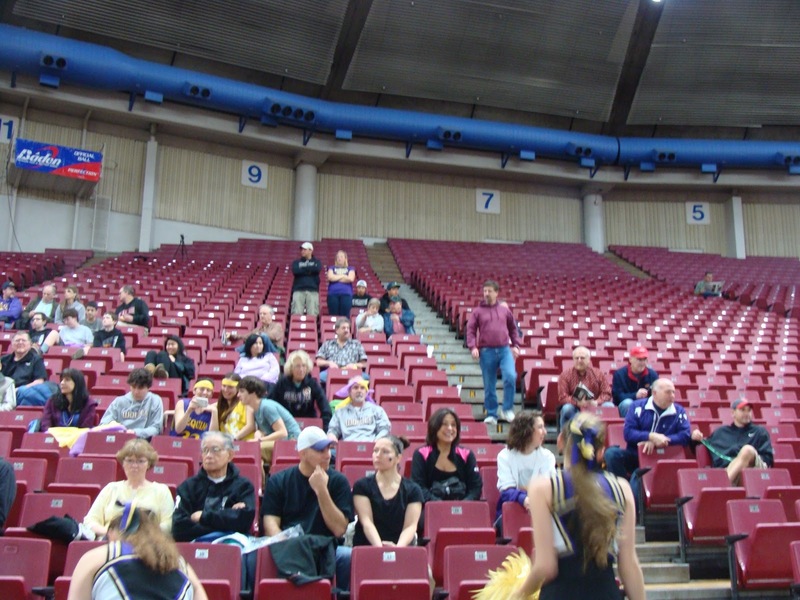 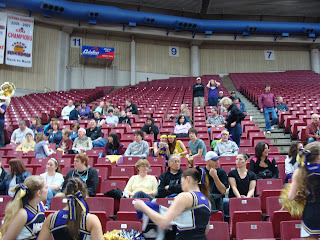 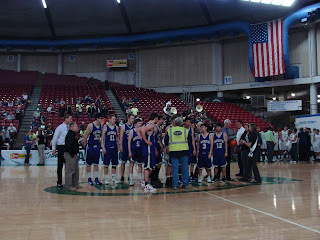 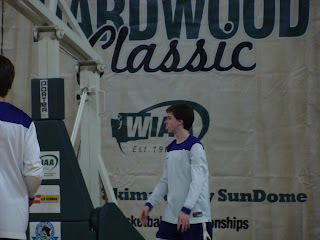 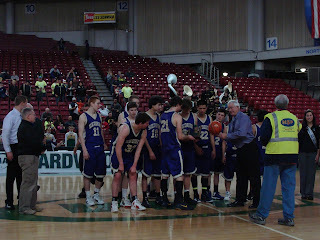 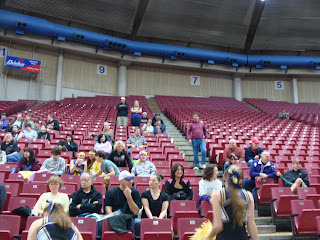 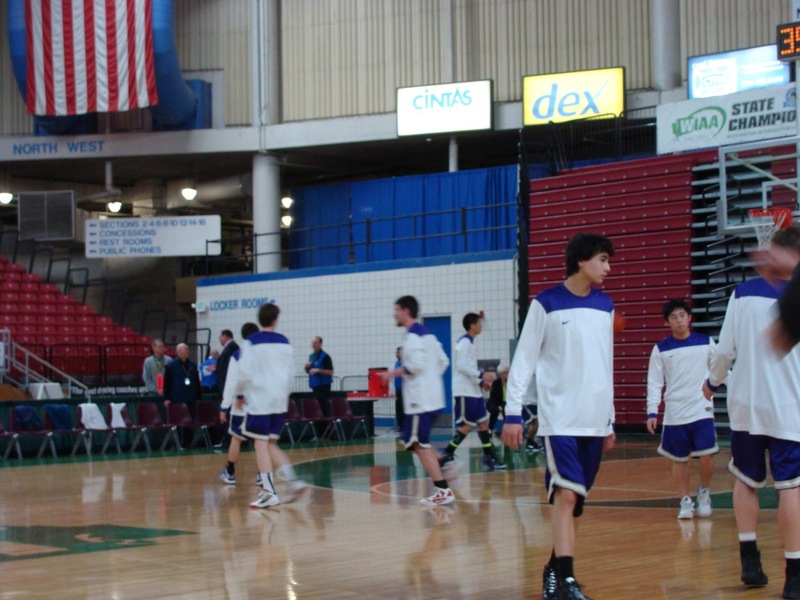 Pts off Bench: Sequim 6, Clover Park 15. 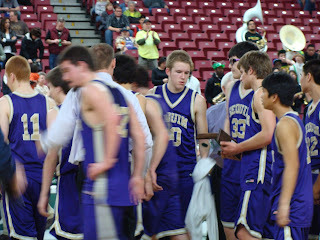 Points in Paint: Sequim 8, CP 26. 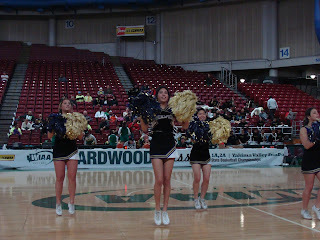 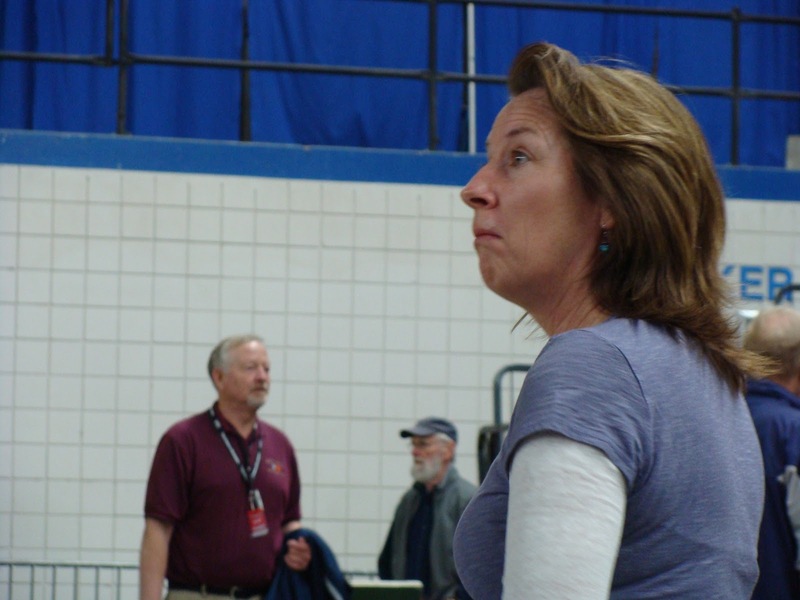 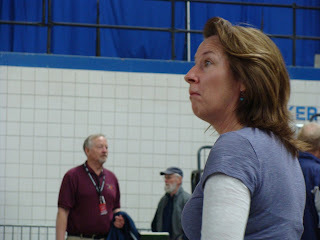 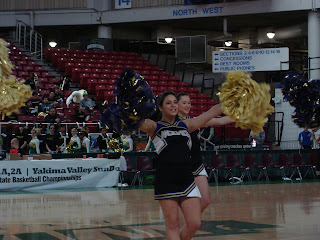 Largest Lead: CP 55, Sequim 24 (31 pts). 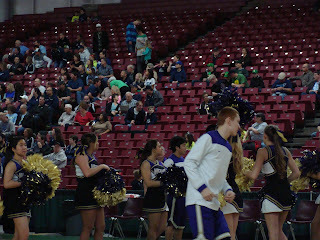 Longest Run: CP 23-2, Sequim 10-2.